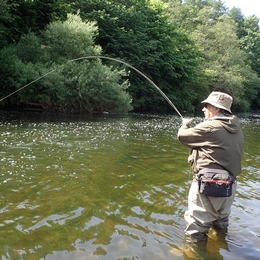 Penrith Angling Association control 42.5 miles of fly fishing with season tickets available on the rivers Eden, Eamont, Lowther, Petteril, Lyvennet, Leith, Dacre Beck, Briggle Beck and Trout Beck plus day, weekly permits on the Eden, Eamont and Lowther. Penrith Angling Association controls in the region of 42.5 miles of fishing on the rivers Eden, Eamont, Lowther, Petteril, Lyvennet, Leith, Dacre Beck, Briggle Beck and Trout Beck. The club was established in 1850. We are a non-profit making club with the sole objective being to provide fishing for our members. Apart from some excellent trout and grayling fishing, there is also salmon and sea trout fishing available for members of the association (for information on beats see Maps and rules see the Regulations page). Penrith Angling Association's waters are set in the unspoilt and idyllic scenery of the Eden Valley, our rivers are renowned for some of the best wild brown trout and grayling fishing in the country. The whole river system is a Candidate European Special Area of Conservation and is classified as an SSSI (Site of Special Scientific Interest). This reflects the area's diversity of wildlife. From source to Solway, the Eden and it's tributaries meander through beautiful meadows and woodlands. Uninterrupted tranquility provides those timeless experiences which are a rare treat for every angler. England's Lake District is an area of outstanding beauty and a perfect holiday destination. for £15 per day or £50 per week. These permits cover a selection of the water under the clubs control and are available at various outlets in the Penrith area. Once established, invasive species are extremely difficult and costly to eradicate. Prevention and early intervention are far more successful and cost-effective. 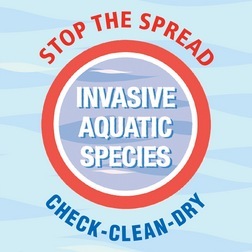 We therefore ask you to help ‘Stop the Spread’ of these invasive species by cleaning and drying your fishing tackle. This includes waders, wading boots and landing nets before, or after, every outing to the Associations waters. 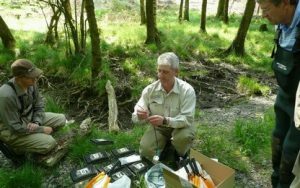 Andrew Dixon & Stuart Crofts have been running the ‘Entomology for Anglers’ course at the Freshwater Biological Association each year since 2009. The course is to help anglers increase their knowledge of entomology which will aid in the success of catching fish more consistently. Copyright © 2017 by Penrith Angling association. All rights reserved.